Nothing seems to say fall like pumpkins, even in an area that doesn’t have obvious seasons. 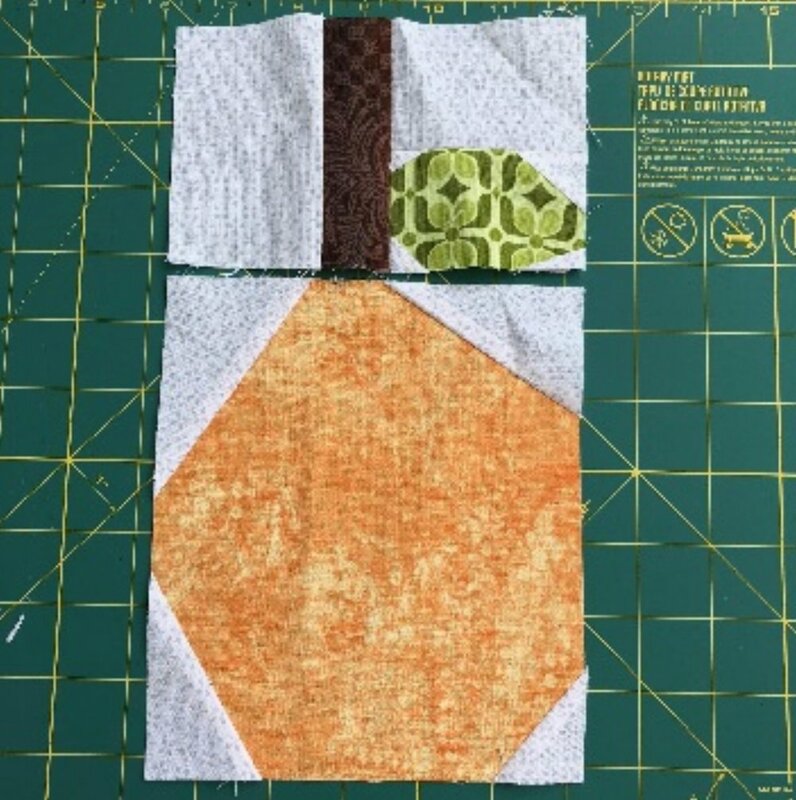 This month’s block is an improv pumpkin that allows for all kinds of personalization. Bring your blocks in for the October meeting and cross your fingers that you have your own patch. The ‘requirements’ are that the block finish at 12 1/2” square and that you use low volume for the background. Otherwise, size, color, stem, leaves - it’s up to you. I made the samples in oranges but pumpkins come in orange, white, green and teal. Oh, and please have the pumpkin itself ‘sit’ on the bottom of the block. That way the winner can place them on a ‘shelf of sashing’ if they like as well as use them randomly. Start with scraps for your pumpkin. Piece them or not, your choice. 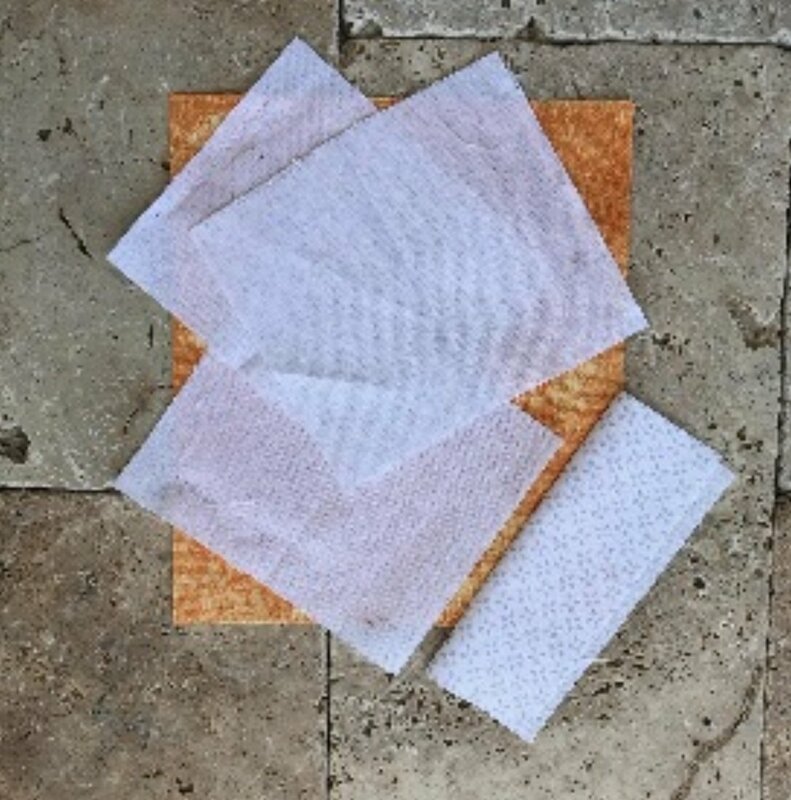 Using low volume fabric, make the corners of your fruit. 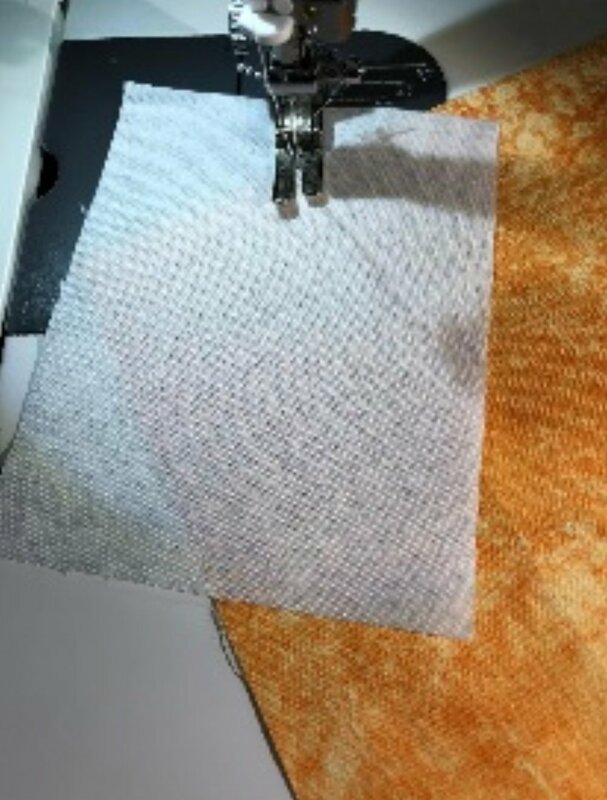 Lay a scrap of background fabric over the corner of your pumpkin.As you can see in the second photo below, the background fabric is at an angle on the corner. Just make sure before you sew that it will fold up beyond the edges of the pumpkin. 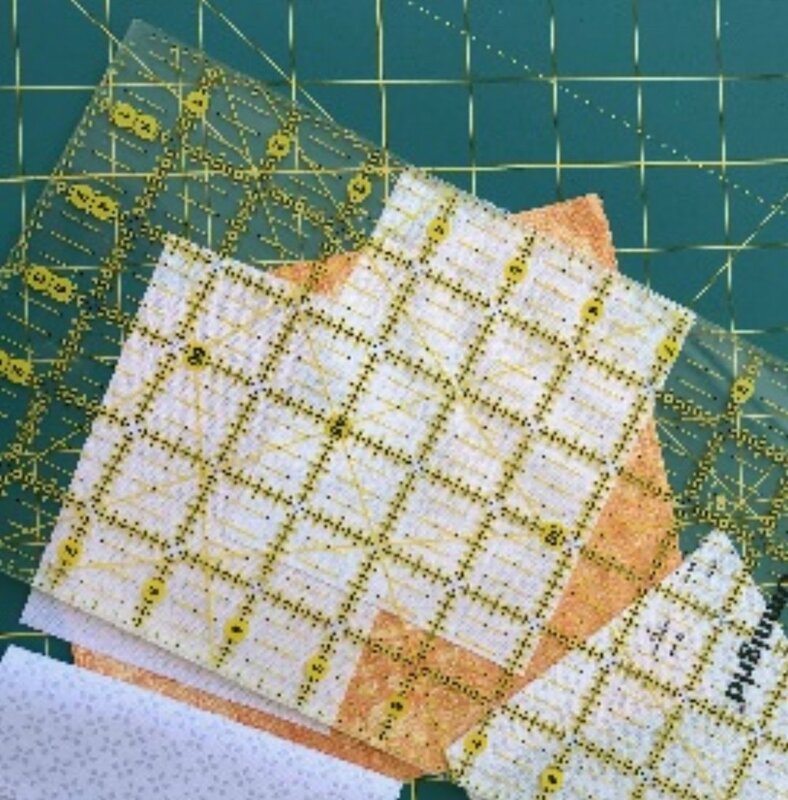 Sew across the diagonal, trim the seam to 1/4” and press open. Repeat on all four corners. Now that you have a pumpkin, straighten it up. Trim all four sides to make it easier to create a block. If you’d like a stem or a leaf, the process is much the same as the pumpkin for the leaf. The stem is just a scrap of brown. I made one straight and one angled. Totally your call. 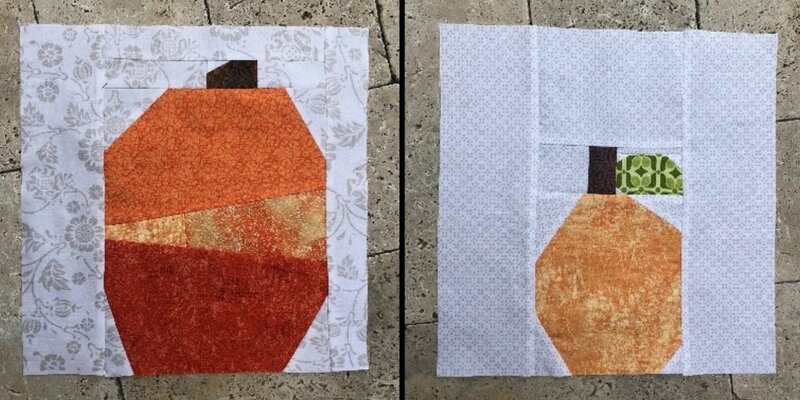 Add scraps of background to lengthen your stem piece to the width of the pumpkin and sew. Then add a strip of background so that your total height of the pumpkin with stem and background measures 12 1/2”. Not going to lie, I made sure I had more than enough and just trimmed it off to avoid math. Finally, add background strips to the sides to make the width of the block 12 1/2” as well. Neither of my pumpkins is in the middle of the block. That’s intentional. Go forth, sew pumpkins! Much less mess than carving them!